In the prize-winning book Unsettling Canada: A National Wake-Up Call, Arthur Manuel strikes a hopeful note by suggesting that “the flood waters of colonialism are, at long last, receding” (223). Nonetheless, the arrival and settlement of non-Indigenous peoples and species in North America utterly transformed relationships and environments, and the legacies of colonialism remain profound. Unsettling British Columbia means acknowledging and confronting these legacies, disturbing traditional perspectives of the province, and reexamining its economic, social and political systems. As unsettling as this may be for some, it is necessary if Indigenous and non-Indigenous British Columbians are to build a better future for all. 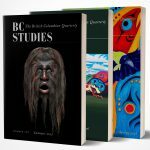 For BC Studies 2017, we seek papers that explore relationships and tensions between the settled and the unsettled in British Columbia’s past, present, and future. We welcome proposals for individual papers, panels, and posters from scholars and researchers across all disciplines, and encourage multi-disciplinary or thematic panels on any topic related to British Columbia (including comparative/transnational studies). Student proposals are encouraged, as are proposals for interactive workshops or roundtables. Panels, roundtables, workshops: a short description (100 words) of the theme for the session, as well as abstracts (~250 words) for each paper or presentation, and a one-page CV for each presenter. Please indicate who will be the main contact for the proposal. Individual papers: abstract (~250 words) and a one-page CV. Posters: a brief description (~50-100 words) of the theme and a one-page CV. Deadline for submission: Monday, October 31, 2016. Please send proposals electronically to: bc.studies@viu.ca.